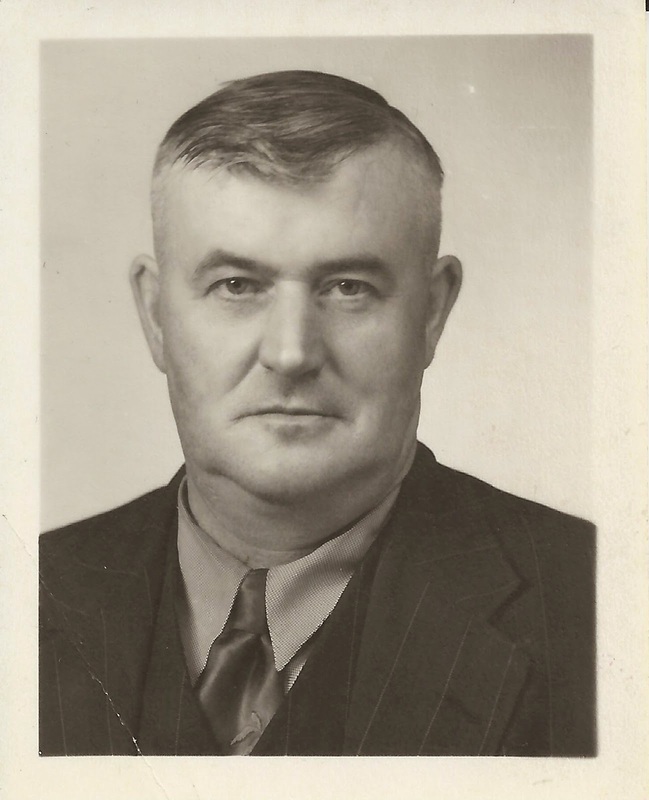 These arcade cards from the 20's and 30's were found among the belongings of Harry Clyne and before they were sent off to a niece in Scotland with his other prized belongings, I scanned them and finally got around to doing a little research. 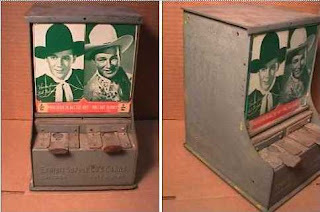 Arcade cards like these were postcard sized and were sold in amusement parks in the US and Canada and thus their name. Bud Baer was a boxer in the 1930's who also acted on television and in films. His nephew, Max Baer Jr. , became famous for his role as Jethro on the Beverly Hillbillies in the 60's. A copy of the same photolithograph can be found in the collection of the Metropolitan Museum of Art in New York City. He died in 1986 and is buried in California. 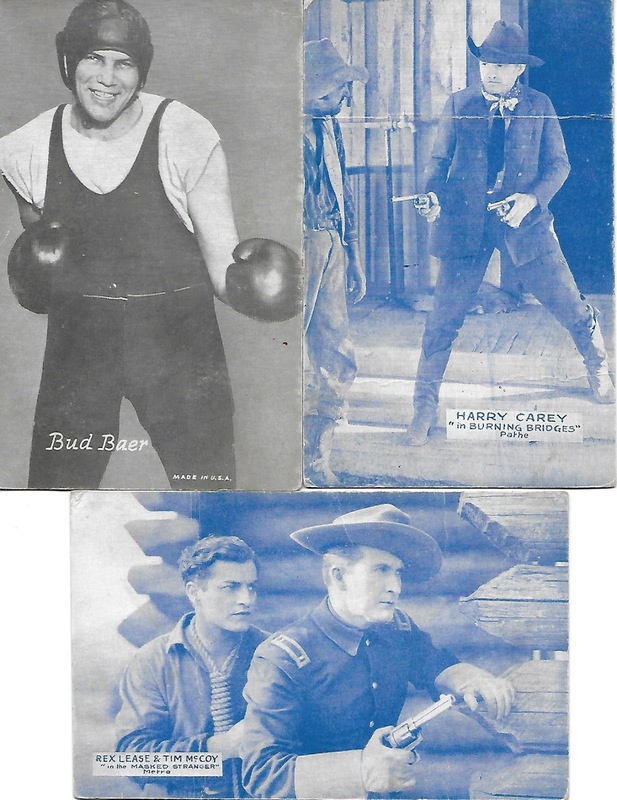 Harry Carey was the lead actor in the silent film Burning Bridges that was released by Pathe Exchange Inc in 1918. During this time, Carey grew into one of the most popular Western stars of the early motion picture, occasionally writing and directing films as well. Carey would appear in at least 233 films, including short features, between 1909 and 1949. Rex Lease and Tim McCoy acted in The Masked Stranger, another silent movie. From the 1928 film "Beyond the Sierras". The machine that these cards were dispensed from were like the one below from the Exhibit Supply Company of Chicago for a penny or two. Harry kept these arcade cards with his family photos and I wonder what memories they held for him of the place he got them or the person who gave them to him. I'm just glad he kept them.